What are the future social media networks ? Creativity is limitless, so as innovation. And when it comes to social media, we know how fast everything keeps on changing and evolving. For this particular reason, you have to keep updated! Of course Facebook, Instagram, Twitter or Linkedin have probably no secrets for you, but what if in 5 years time, new social networks become viral ? What if they replace our old Twitter or Facebook ? In this case, these new social platforms might be the ones to look out for if they are relevant to your audience and business. Wouldn’t you want your company to be one step ahead ? If the answer is yes, have a look at the 5 emerging social networks our social media team selected for you! 1. Medium: This micro-blogging platform is ready to take off in a big way! Medium allows amateurs and profesionals to publish their own articles. It is a really simple network to use to share unique content. This platform allows businesses that are looking to get higher-level executives involved in their social media strategy. 2. We Heart It: Have a look at the picture below. Does that platform remind you any of social networks? Yes indeed, you probably thought: Pinterest or even Instagram! We Heart It looks really similar and its use is pretty much the same too. However, instead of Pinterest’s boards, this platform uses Canvases and Collections, while shared images are more like what we see on Instagram with quotes, and pictures. Several large brands such as Starbucks, MTV or Chobani are already very active on the platform. When do you take the plunge ? 3. 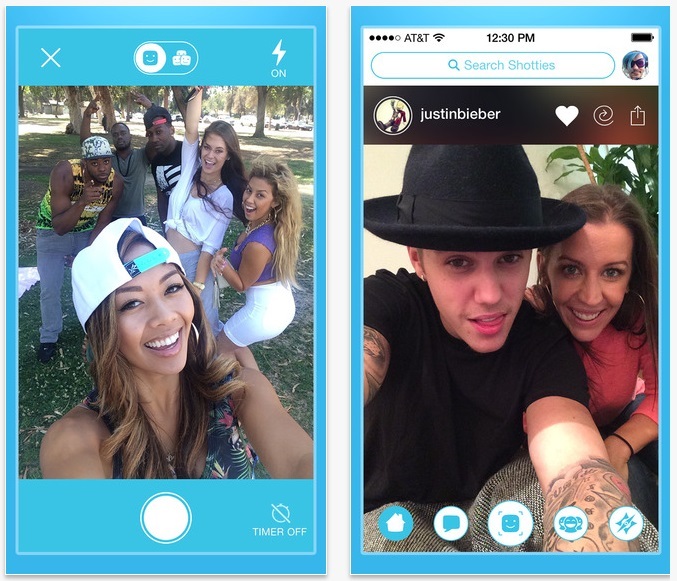 Shots: Snapchat is probably already up for the challenge since Shots, a selfie app made famous by high-profile celebrities such as Justin Bieber; has raised another $15.2 million to date. Therefore, if you’re already using Snapchat for your business, Shots is definitely the app to watch out for. 4. Bebee: This app focuses on merging social networking and business. You’re now probably wondering : is that the new Linkedin ? And the answer is … maybe! Bebee allows worldwide users who share the same professional interdits to connect through groups. The platform provides job listings and information about work opportunities in specific fields. 5. Mastodon: This new social network is seeking to replace Twitter. Indeed, its functions (and the look of the site) are quite similar. Users can post short updates with images, and follow other users’ posts called “toots”. However, Mastodon has a 500-character limit on status updates (140 characters for Twitter). Have you heard of any other networks out there ? sFeel free to contact us, subscribe to our blog for free, click here to arrange a FREE Consultancy meeting, send me an email at Nick@CFMGroup.co.uk or Follow me below on Facebook, Twitter, LinkedIn and Instagram.